Editor’s note: This Vs. That is Travel Boulder’s weekly comparison guide designed to help you pick the activities, food, drinks, hotels and events that best fit your preferences. It’s like if a traditional newspaper review had a love child with Yelp, except always reliably researched and experienced firsthand by our local writers. Because sometimes you can best understand an option by seeing what it is not and by placing it side by side with something else. So you need somewhere to stay, but you want to feel at home. But better than at home. You want to be spoiled, but not anonymously in a giant hotel. And not totally alone, like in an Airbnb. You want some personal attention. Maybe a home-cooked breakfast every morn and a glass of wine in the afternoon. Mmm, yes, definitely a home-cooked breakfast. 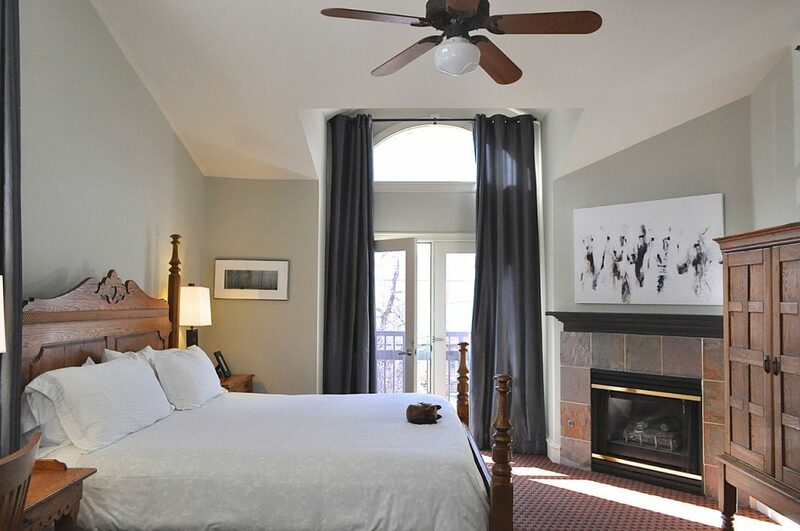 You want to stay in a bed and breakfast during your visit to Boulder. 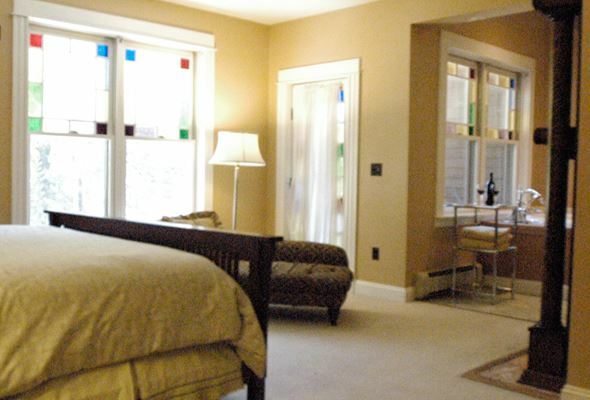 A B&B is the perfect balance between a vast hotel and renting a private residence, and it’s a great resource for visitors because you get an immediate local connection. Where are the best local hikes? Breweries? Vegan restaurants that serve cold-pressed beet juice in a copper mug between 9 and 11 a.m. every Thursday? A B&B is like a personalized concierge who lets you stay in their house and makes you breakfast. Winning. Boulder’s got a handful of B&Bs, but not a ton. The main three are the Briar Rose, Alps Inn and Bradley Boulder Inn. They each have their own special charm and unique features, in particular three distinct locations. We’ve decided to lay out the details and let you pick your favorite one. Entrance to the Briar Rose Bead and Breakfast. Courtesy Photo. Think of your ideal B&B: set in a renovated, stunning Victorian mansion with antique furniture. Homemade breakfast every morning and a yummy cookie service. A cozy fireplace. Lovely flower gardens outside. Now add an element of luxury. You can have breakfast delivered straight to your room if you don’t want to sit in the dining hall. Some rooms have a rainshower, private fireplace and personal hot tub. Now make it as Bouldery as possible. Add zen decor influences and of course, eco-friendly choices (organic cotton sheets and towels, eco-friendly products, composting galore) and organic food. Add unlimited loose-leaf tea for guests and fresh, filtered water from Boulder’s very own glacier. Offer guided meditations in a special meditation room. You gotta have the mountain views, too. Now, top it off and make the innkeeper a zen monk. Yeah. This should be called a B&B&B, with the third “B” standing for Boulder. The Briar Rose is pretty centrally located in Boulder and that’s what it exudes: Boulder, to the core. Although it’s not right in downtown, it can be nice to get a little space from the Pearl Street Mall. 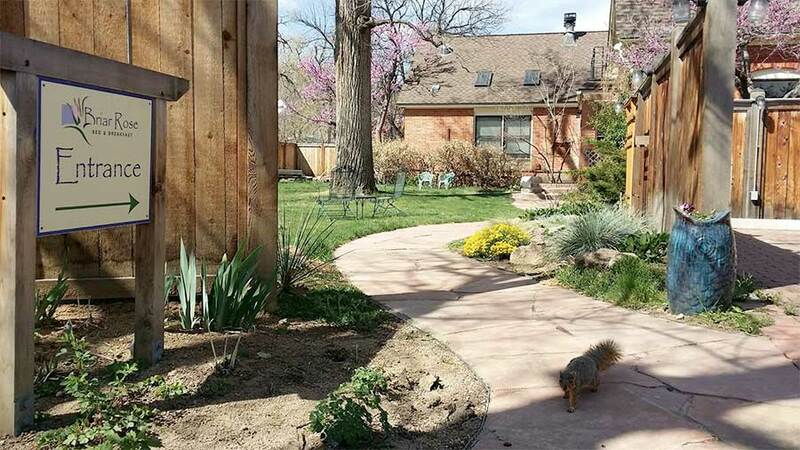 Plus, really, it’s a 10-minute drive to the Pearl Street Mall (maybe a 15-minute walk), and a super quick two-minute drive to the University of Colorado campus. If you’re visiting CU or a student there, you want to stay here. The Briar Rose is across the street from Naropa University. Seriously, a one-minute walk. The rooms: Each of the 10 rooms is different, with different amenities and artwork on the walls, so make sure you flip through all of the photos and read about each room before you book (although every choice has its own pros). 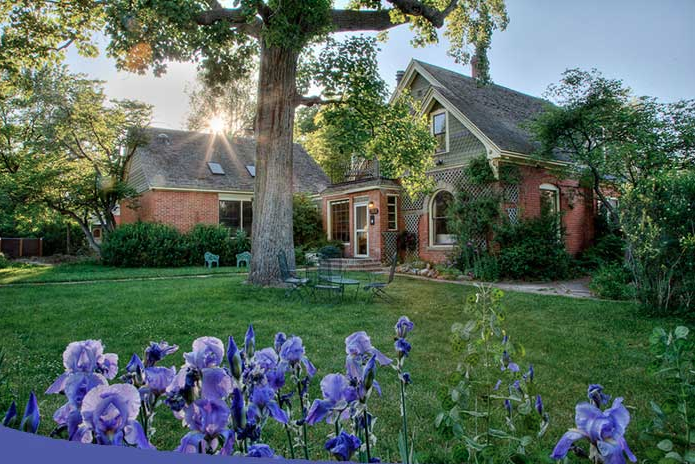 Noteworthy fact: The Briar Rose is the only B&B in Boulder that belongs to the Bed and Breakfast Innkeepers of Colorado, if you care about that kind of thing. This isn’t in the center of Boulder, but it is located in the embrace of the mountains just west of town. 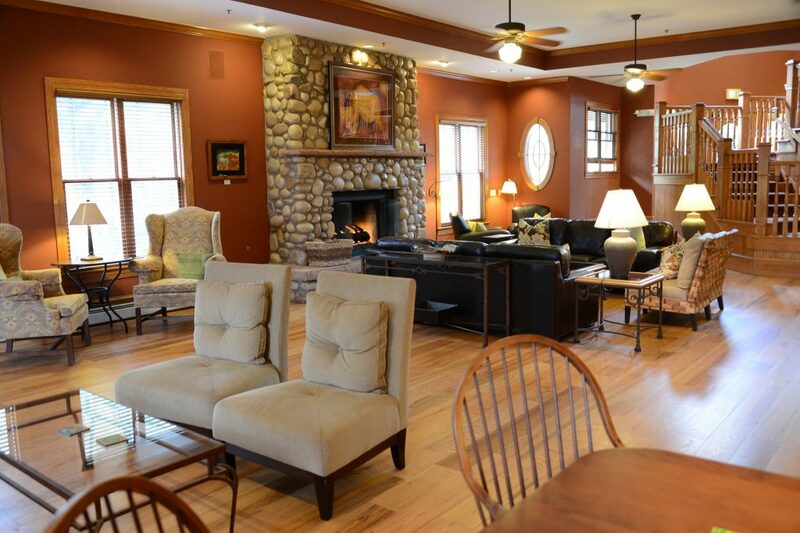 The Alps Boulder Canyon Inn is the ideal lodging for you if you want the service and connection of a B&B in a mountain setting. It’s set in the canyon, near Boulder Creek. The drive to Alps Boulder Canyon Inn really isn’t very far (it’s 10 minutes from the Pearl Street Mall), but you’ll feel like you’re far away from the hustle of everything. You may even see wildlife on the property. This B&B is slightly bigger than the Briar Rose, and the building itself is actually an official historic landmark. The story behind it is pretty cool; it was one of Colorado’s first resorts, built in the 1870s. Obviously, it’s been hugely renovated over the years. The rooms: The Alps has 12 rooms, each different (as you would expect in a B&B). Features include stained-glass windows, antique fireplaces, porches, rainshower and whirlpool tubs (or even a two-person bubble bath) in the room. Tip: Request a room with a view of the canyon wall and pine trees across the street. Noteworthy fact: This is an esteemed AAA, Three-Diamond property. So you can expect the highest of service and a big dose of luxury. The Bradley Inn. Courtesy Photo. 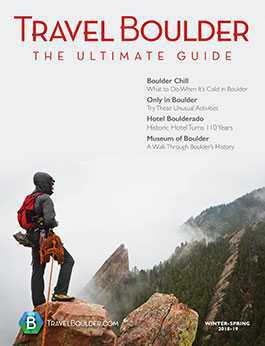 The independently-owned Bradley Boulder Inn is also located in the city of Boulder, except this one is directly in the heart of downtown, a close walking distance (less than a block) to the Pearl Street Mall and some of Boulder’s most popular attractions. Its claim to fame is it’s the closest hotel in Boulder to Pearl Street. 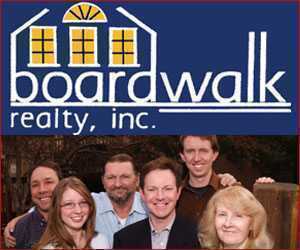 It’s also a 15-minute walk to the University of Colorado. In case you need to venture farther, there’s an area shuttle. One thing that really sets this B&B apart (for better or for worse, depending on your needs) is it’s for adults only. Due to that, this hotel is peaceful and quiet. It also tends to attract a lot of business travelers. In fact, Heather A. Collaton, with the inn, says she has one regular business traveler who has a room at the Bradley specifically written into his contract. The Bradley is all-inclusive, which makes business travel easy; there are no extra expenses to reconcile when you return home (no matter if you have one or three glasses of wine at night). The Bradley does have a liquor license, which sets it apart from other B&Bs. The small size allows the hotel to offer the best-quality sheets, custom-made beds, US-made furniture and big, fat, fluffy towels. For breakfast, you can find food to fit a variety of dietary needs, from vegan to gluten-free, and the selection varies daily. You can even request something specific if you don’t like the offerings or have special needs. Did we mention fresh-baked cookies daily? In addition to breakfast (plus tea and baked goods to snack on), the Bradley offers a wine, craft beer and cheese (and fruit, and crackers, and other snacks) hour every evening. Another unique feature is guests here get access to a health club (not on site), which is uncommon among B&Bs. Traveling for business? The Bradley caters to business travelers with a meeting room, free wifi and newspapers in the lobby. 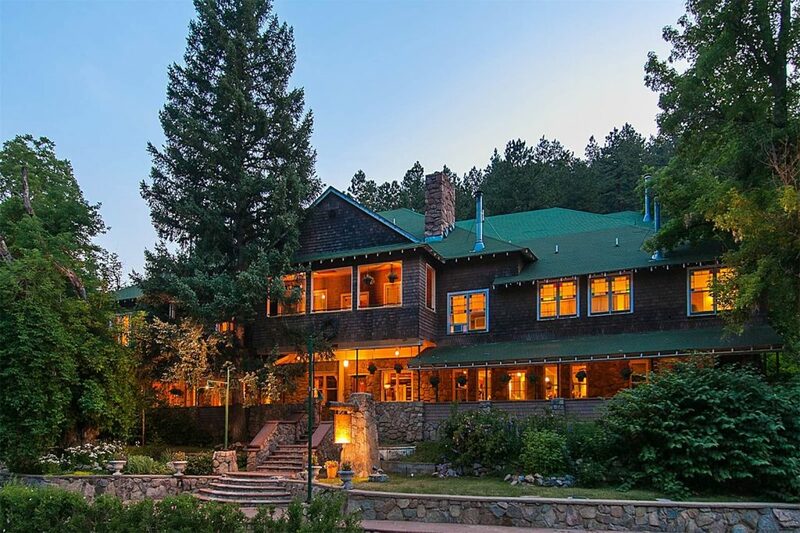 The building itself is impressive: it boasts 14,000 square feet, with a giant porch, an oversized river-rock fireplace, a sweeping staircase and Craftsman-style architecture throughout. Unlike the Alps, this is not a historic building, though, and it’s not a converted mansion; it was built in the ‘90s as a hotel. Because it was built as a hotel, every room has its own bathroom andplenty of space. “The Bradley Boulder Inn is one of the most beautiful places to stay in Colorado and offers the best value of any lodging in downtown Boulder,” says Heather A. Collaton with the inn. The rooms: The Bradley has 12 spacious rooms with high ceilings, all cheery and unique, with varying features such as jacuzzi tubs, balconies and fireplaces. Request one with a mountain view for the most Colorado experience. 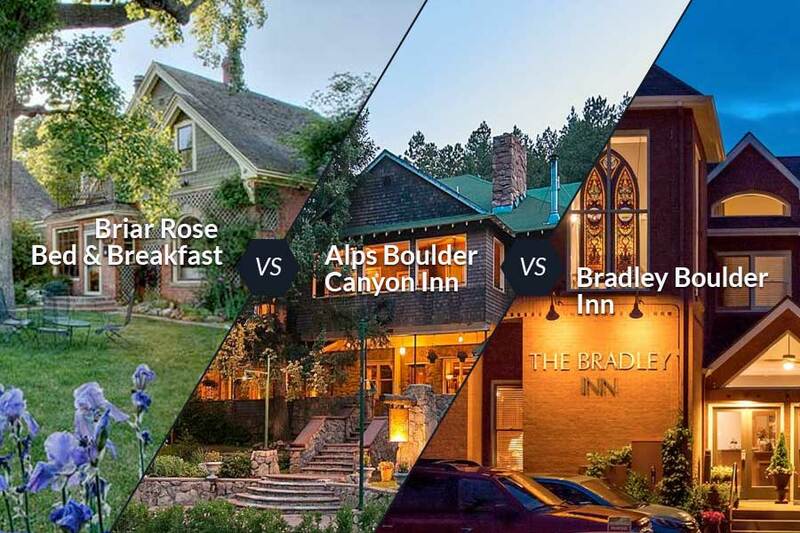 Noteworthy fact: The Bradley Boulder Inn has been ranked No. 1 on TripAdvisor since TripAdvisor started its hotel reviews, according to Collaton.